When it comes to raising children, questions come with the territory! We’ve put together the answers to the questions we hear the most so you can get the information you need 24-7. If we haven’t answered your question here, please look through our student handbook or give us a call. We’re always happy to help. 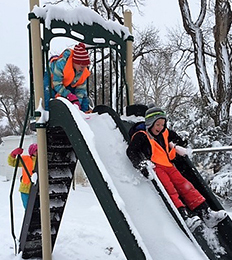 When do students participate in recess, and what are your guidelines for outdoor play during extreme weather? If your child must be absent from school, please call the school office at (307) 587.4271 and let us know your child’s name and the reason for the absence. When your child returns to school, please send a note explaining the absence. Please visit our district Registration page for the information about registering your child at our school. You may download and print a copy of the registration forms, and bring the completed forms together with the required documentation to the district office. If a student becomes ill, we will attempt to notify a parent or guardian promptly, and we will care for the student until a parent or guardian arrives. Students may not leave school grounds without either a parent or another approved adult (as listed on the student’s information form). If the situation is a medical emergency, we will follow standard emergency procedures. We believe that children need fresh air and exercise each day, even during the cold winter months. Therefore, we expect children to go outdoors for recess. Please provide your child with proper outer clothing: coats, gloves, caps or hoods, and foul weather footwear. We will keep the children indoors during extreme temperatures (wind chill or temperature at or below five degrees) or adverse weather conditions (rain, extremely wet snow, high winds, etc.). You'll find recess times listed on Our School page.